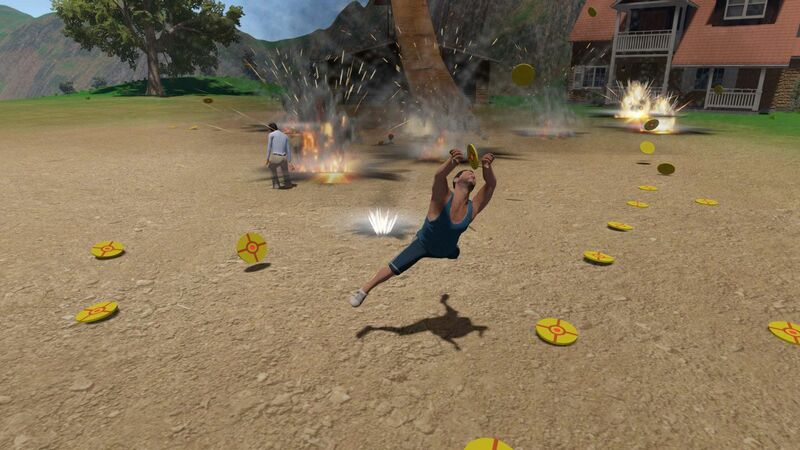 Guts and Glory is pretty much just shallow quirky YouTube bait but, darn it, it's still fun. 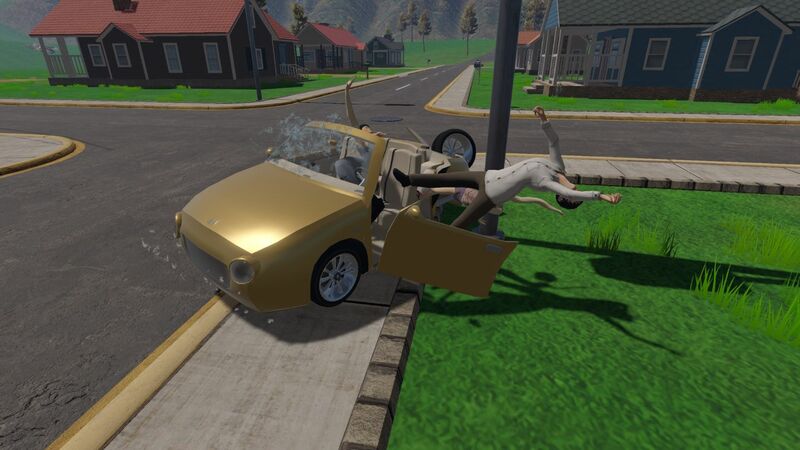 This combination of Trials' vehicle platforming gameplay mixed with the glitchy jankiness of Goat Simulator produces a lot of really, really funny moments and the game overall is solid fun. Failing levels is just as fun as finishing them, too, thanks to the seemingly endless ways your characters are dismembered and the gallons of blood that spew everywhere. Load times and performance issues not present in the PC version make the console ports a little less than optimal, but Guts and Glory is still a hoot regardless of what platform you play it on. Continue reading our full Xbox One Guts and Glory review for all of the details. To start off, I have to give a shout out to the fact that Guts and Glory was made in the great state of Idaho, just like PSXBoxIndies. So that's cool. So what is Guts and Glory? It is a 3D time trial action game where you pass through checkpoints scattered throughout a level in order to ultimately reach the end. 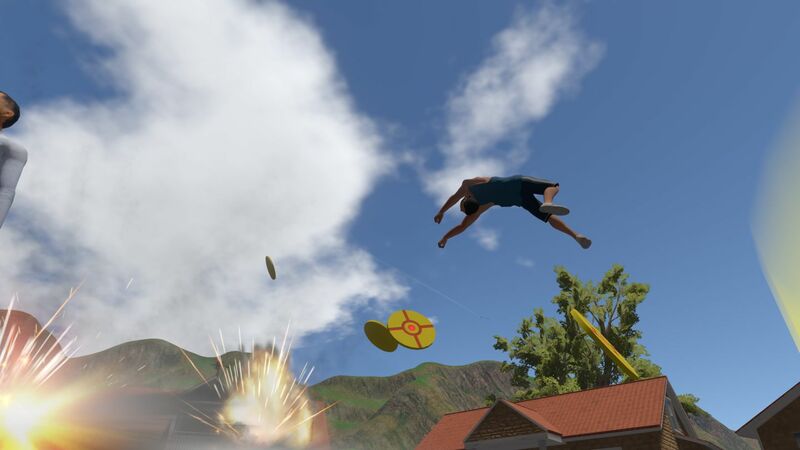 The levels start off fairly easy and straightforward, but obstacles such as cannons, land mines, spinning saw blades, giant wrecking balls, and more are added to make your life much more difficult. They also make the game a lot more funny, too, as meeting your end to one of these nefarious devices always lead to your character losing a limb or three and spewing blood everywhere. I find that funny. Maybe you don't. If that's the case, perhaps Guts and Glory won't be for you. 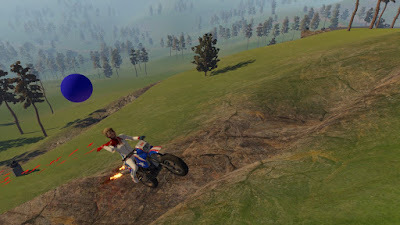 You can choose from one of several characters / vehicles including a bike with a kid seat on the back, a bike pulling a wagon, a motorcycle, an ATV, a family car, a dude sitting in a rocket powered lawn chair, and more. Each one has a set of levels designed around it, but you can use any vehicle you want once you unlock it, which can make some levels easier. Each of the different vehicles has unique quirks and pros and cons, so selecting the right vehicle for the task at hand can make a big difference. The path through each level from checkpoint to checkpoint isn't linear, so you can take other paths to avoid bottlenecks and obvious death traps. You won't go as fast, but you'll get there intact if you just go around a huge minefield rather than trying to plow through it, for example. At a basic level, it's basically like a Trials game where you have to master the controls and understand the physics of how the world works in order to get to the end of each level as fast as possible. One thing you have to understand, though, is that Guts and Glory isn't exactly a pure and precise game like Trials and instead leans more towards the Goat Simulator end of the physics spectrum. It is wonky and janky and doesn't always do what you want it to. The game is glitchy and inconsistent and occasionally feels unfair because of it. But you know what? That's what makes it so hilarious and fun to play. Because it is unpredictable something unexpected and silly can happen at just about any moment. It also makes it all the more satisfying when you do overcome a tricky section and actually beat a level. Unfortunately, the console versions - I've only played the Xbox One version, but it seems the PS4 and Switch versions are the same - have some performance issues. Load times between levels are a bit long and re-loading a checkpoint within a level, something that was instant on the PC, takes a few seconds on console which makes trying and dying and trying and dying over and over again a bit of a pain as those seconds rapidly add up. When a lot of things are happening in-game - cannonballs flying all over, mines exploding, etc. - the game can slow down pretty significantly as the Xbox struggles to keep up. I had a few instances where I re-loaded a checkpoint only for the game to soft lock for 30-seconds to a minute because things were still exploding out in the level from my previous attempt. It did eventually come back to life after I waited a bit, though, so I didn't have to fully restart the game. The game is already not a smooth ride because of how (intentionally) janky and glitchy it can be, so when you add performance issues on top it sours the experience a bit. Another change from the PC version is that there is no course editor or ability to play custom levels in the console versions. Perhaps this will be added later (there is certainly room on the menu screen for the option, at least). Presentation in Guts and Glory is far from impressive, but it gets the job done. The menu is simple and amateurish, but I suppose that was the point. The graphics are plain and ugly, though the fountains of blood and viscera when you fail an obstacle are surprisingly good. The sound is forgettable. All in all, Guts and Glory on Xbox One is an overall enjoyable 3D puzzle platformer provided you come into it with the proper expectations. It is supposed to be janky and glitchy and goofy, so as long as you keep that in mind you can have a good time as it is very funny when you fail and surprisingly satisfying when you succeed. Performance issues ding it a little, but it isn't anything severe enough that I won't still recommend the game. At the $15 asking price, Guts and Glory is funny and fun and absolutely worth a look for a few laughs. Buy it.